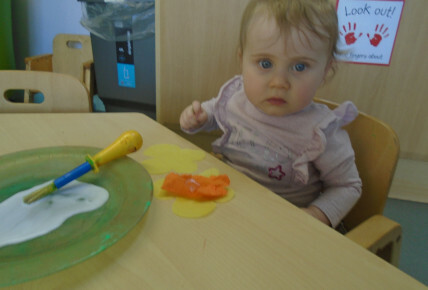 In babies room this week we have been enjoying painting and sticking Easter egg pictures, making them with different materials, making them really colourful. 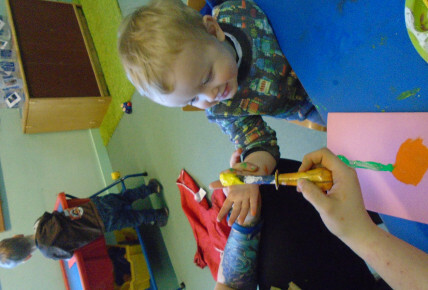 We have also been creating our Mothers day cards for our mummies. Additionally we have been learning our numbers by building towers with wooden blocks and exploring the animals in the and creating a farm with foam bricks. In toddler room this week we have enjoying outside chalking drawing lots of pictures talking about what we are drawing and the colours we are using. 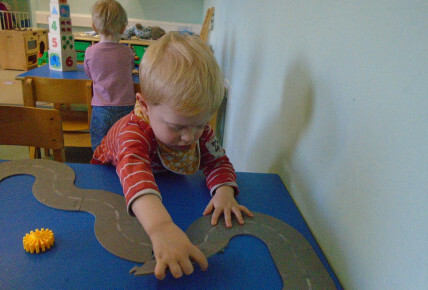 We have also been looking at connecting thinks together such as road tracks. Additionally been getting ready for Easter by creating different decorations and making our Mother's day cards. In the preschool room this week, we have been decorating our Easter, salt dough eggs, and cutting out and decorating paper eggs for our Easter board. 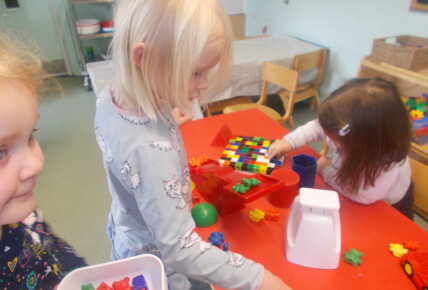 Also within the preschool room we have been looking at more and less, when balancing compare bears and cubes with the scales. 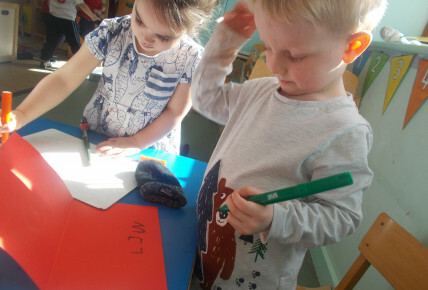 Additionally we have been creating our Mother's day card, practising our handwriting inside at all different levels.